2018 is shaping up to be a year of numbers and milestones for PJ’s Coffee, the New Orleans-based coffeehouse that demonstrates better beans, superior roasting techniques, and pure passion for the art of coffee-making. The growing coffee brand is celebrating 40 years in business, later this year it will open its 100th location, and it is also joining with the city of New Orleans to celebrate the Crescent City’s tri-centennial (or 300th birthday). All of this creates a perfect time for the brand to continue building momentum, expanding its geographic reach, and signing on new franchisees. PJ’s Coffee is planning to celebrate its 40 years in business with a special “direct trade” blend anniversary coffee that will be introduced on September 29 - National Coffee Day. The small batch, craft-roasted brew is sure to attract coffee connoisseurs and brand fans alike. 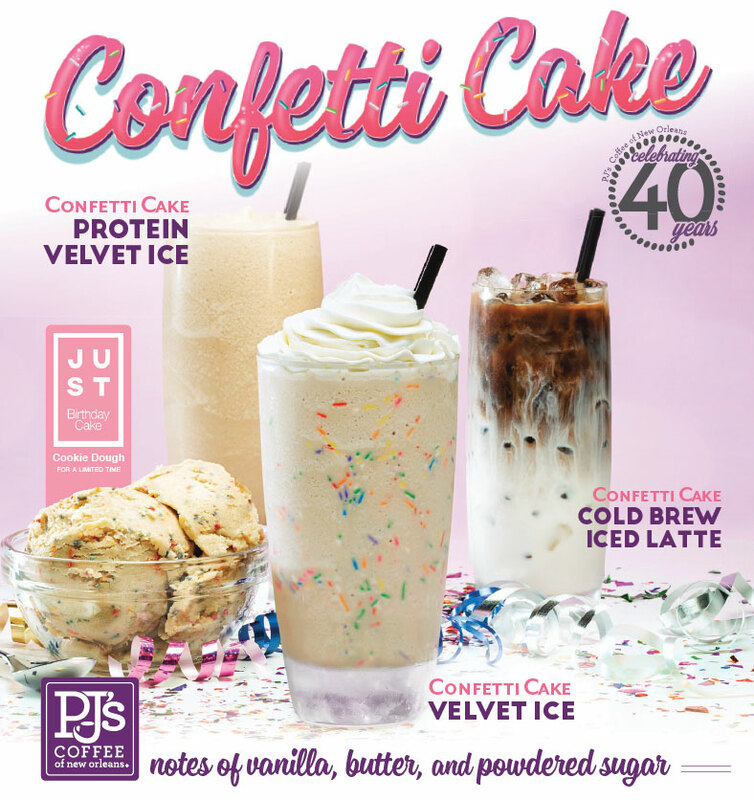 The brand has also created a new Confetti Cake flavored Cold Brew Iced Latte and Velvet Ice specialty drinks to help celebrate its 40th anniversary. This fall, PJ’s will open its 100th location in Pearland, Texas. The new franchisee is a New Orleans native who relocated to Texas following Hurricane Katrina. New Orleans looms large in the PJ’s Coffee story. Phyllis Jordan (“PJ”) opened the first store in 1978 on Maple Street in the Crescent City. Then, in 2008, the company was purchased by New Orleans natives and brothers Paul, Steven, and Scott Ballard. It’s only natural that PJ’s Coffee would desire to be a part of recognizing New Orleans’ 300th anniversary. After all, New Orleans has long been a major part of the coffee business in America. The city has been a major port for importing coffee from central and south America and has been a key player in the accessibility of coffee in the United States for three centuries now. Coffee is now a $100 billion a year global industry and PJ’s Coffee plans to continue its role in the growing industry. The brand is always looking for qualified candidates who want to bring their own passion to the brand. The operating model and menu is adaptable to any environment with different options including kiosks and free-standing locations with a drive-thru, ranging from a few hundred square feet up to 2,200 square feet. 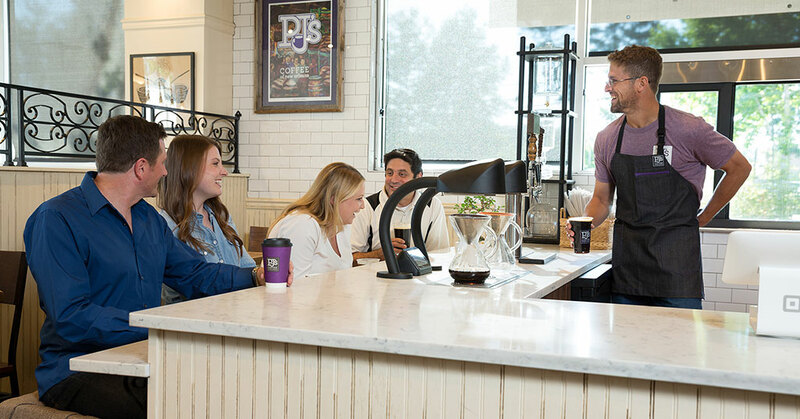 For more information on franchising opportunities with PJ’s Coffee, visit http://www.pjsfranchise.com.